Xiaomi overhauled the Indian smartphone market with its debut in the year 2016. The Chinese manufacturer changed the dynamics by offering powerful devices under an affordable price range. The company has its own set of smartphones catering to every segment, right from entry level to flagship. Almost all the Xiaomi smartphones, except for the Mi A1 and the Mi A2, run its proprietary OS dubbed MIUI. Our price list for Xiaomi phones is updated every day ensuring that you stay updated with latest launches and price changes. We last updated the list on 2019 22nd April. Don't get your expectations too high and expect timely software updates from most Chinese smartphone makers, with the exception of HMD Global which makes Android One powered Nokia phones. That's primarily because brands such as Xiaomi not only sell their hardware but also their ecosystem. That's also why Xiaomi phones come with Android that is heavily skinned and an exhaustive number of first-party apps and utilities that don't just replace their existing Android counterparts, but also add a great deal of features of their own. This is great from a user perspective, because you usually don't need to install new apps to take care of basic and even some advanced tasks on your Mi phone. But the downside to making such far reaching changes to the basic Android framework is that it is really hard to port all of these apps, utilities, and custom features to newer versions of Android. That's also why Xiaomi phones don't get fast updates. In most cases, it isn't uncommon for these phones to not receive newer Android versions at all. For example, while Xiaomi phones such as Redmi Note 4 received the newer version of MIUI (MIUI 10), the phone still remained on Android 7.0 Nougat instead of receiving Android 8.0 Oreo. This was when newer phones had already begun shipping with Android 9.0 Pie. In short, don't expect quick and timely updates when opting for Xiaomi Phones. The exception, of course, happens to be Android One based Xiaomi devices such as the Xiaomi Mi A1 and Mi A2. 2. How to enhance the durability of my Xiaomi smartphone? Start off by using a good protective case for your Mi phone. This will prevent it from accidental damage as screen repairs can be expensive. A hard case provides better shatter resistance than a cheaper soft case. Another part of the phone that deteriorates with time is the battery. The best way to prolong battery life is to prevent overcharging it. That means, avoid charging your phone overnight. Furthermore, battery life is also greatly increased if you prevent it from dropping below 20 percent, as this puts a lot of strain on it. Conversely, the same happens when you charge your phone beyond 80 percent as the battery charging efficiency goes down and much of the electricity is lost as heat, which is harmful for the battery. Avoid using fast chargers unless absolutely necessary, as the high amount of heat generated during the process also reduces battery life. The same applies for wireless charging as well, but Xiaomi doesn't seem to have any device capable of that as of this writing. Every other component of your phone is otherwise durable and consists primarily of solid state electronics with no moving parts. As such, the only precaution you can take is to prevent these components from overheating. 3. Which Xiaomi smartphone has the best display amongst all? The great thing about Xiaomi phones is that the IPS LCD displays used are of a much higher quality than anything comparable from other brands. The display on the Redmi 4, for example, has better contrast and saturation compared to devices costing twice as much. However, the display crown amongst the Xiaomi phones is taken by the flagship Xiaomi devices sporting OLED displays. This includes the yet unreleased Mi Mix 3 and the Black Shark Helo 2. The wide aspect ratio 1080x2160 OLED display on the Black Shark Helo might not be 120Hz like the Razer Phone, but it makes up for the lower refresh rate with great contrasts and 100 percent DCI-P3 coverage for great colour accuracy. There's nothing else in the Xiaomi line-up that can match this display. 4. What are the available price ranges in best Xiaomi smartphones? Due to the wonders of mass production and economies of scale, Xiaomi makes phones that start as low as INR 5,999 and go as high as INR 29,999. The cheapest available phone right now is Redmi 6A, whereas the most expensive phone is the Mi Mix 2. 5. What are other popular brands of mobiles? By other popular brands, we presume that you mean other smartphone brands that deliver similar value and features as Xiaomi. 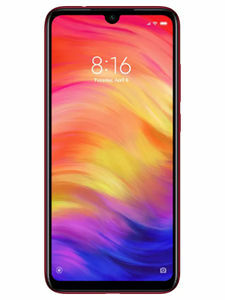 Oppo's sister brand RealMe specifically targets Xiaomi by offering smartphones that deliver similar levels of features and performance for roughly comparable prices. Motorola and Nokia are another two brands that might not offer the same feature set and value as Xiaomi, but these are still established brands that feature lighter Android forks for quicker updates and snappier performance borne out of better optimisation. Huawei's sub brand Honor too has plenty of smartphones that go toe-to-toe with Xiaomi phones and nearly match it in terms of features and value. 6. 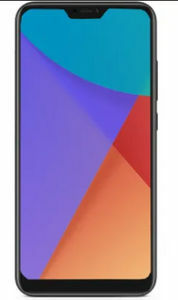 How do I compare two Xiaomi smartphones in terms of price and utility? The answer coincidentally lies squarely in front of you. MySmartPrice.com is your one-stop portal for all your mobile phone related research. Just type the names of the phone you want to compare in the search bar and you'll be presented with all the relevant information, specifications, and related news and important announcements relevant to the phone along with similar phone recommendations. Thereafter, it's a matter of comparing the specifications and prices. Don't forget to read our expert reviews before making an informed choice. 7. Which is the best mobile of MI? The concept of the best phone can be both, subjective as well as an objective. Objectively speaking, the upcoming Xiaomi Black Shark Helo will be the company's best phone. Being a gaming centric device, it has the best OLED display, fast processor optimised for gaming, funky RGB design and high quality construction, and support for gaming peripherals. However, for those seeking a classy, minimalistic bezel-less design will find the Xiaomi Mi Mix 2 and 3 better suited for their tastes. Those who value quick updates and pure Android experience might want to choose the Xiaomi Mi A2 over everything else for that matter. 8. Which is the best mobile phone in redmi? As explained earlier, the concept of the best phone is quite subjective. If you're on a shoestring budget, the Xiaomi Redmi 6A is still a terrific phone for the price. The best phone ultimately depends on your budget and needs more than just going out and buying the most expensive phone out there. But in absolute terms, the Redmi Note 5 Pro is a terrific phone that does everything you throw at it really well, especially considering the price. 9. Which MI phone is best under 10000? Unfortunately, Xiaomi doesn't sell any Mi phones at that price. The cheapest Mi phone is the Mi Max 2 and that starts at INR 13,999. The Redmi Note 5 starts at INR 9,999 and is one of the best Xiaomi phones you can buy for that price. 10. Which MI phone is best for camera? The Redmi Note 5 Pro has a terrific camera that takes great images. The dual-camera setup on the slightly more expensive Mi A2 is also pretty good at snapping detailed photos. The Mi A2 is also equipped with a 20-megapixel AI enabled front camera if you're interested in snapping selfies. Overall, the Mi A2 is the most balanced camera centric phone in the Xiaomi repertoire. Just don't expect it to deliver flagship grade camera performance and you'll be fine. 11. How long do Xiaomi phones last? Contrary to popular belief, while Xiaomi phones cost significantly less, there's no indication that there's any sort of compromise when it comes to quality and durability. Several members of the MySmartPrice editorial team own multiple Xiaomi phones and have been using the same for long without facing any issues. This writer himself owns two Xiaomi smartphones that have been working flawlessly for more than two years now. Furthermore, the company has improved its service quality in the past and there's no reason to believe that there's a higher risk of phones malfunctioning prematurely at rates higher than the competition. 12. 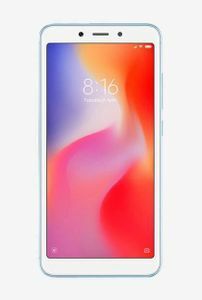 Are Xiaomi phones Good? For the price, Xiaomi phones are terrific. 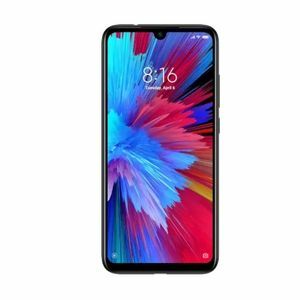 On an average, Xiaomi is known to deliver better construction materials and quality, features, and specifications than the competitions at much lower pricing. The company achieves this through mass production and economies of scale, and saving money by avoiding traditional distribution methods involving brick-and-mortar shops and dealer/marketing margins. The latter, however, has changed with Xiaomi opening retail outlets and spending big bucks on marketing and sponsorships, but the overall quality and value has been maintained so far. 13. 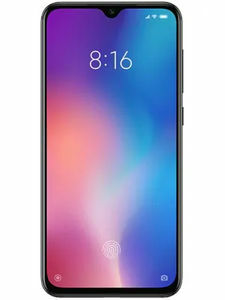 Can Xiaomi phone be used in USA? Most modern phones have embedded wireless communications radios that are compatible with most common mobile bands used across the world. While there's no official support for Xiaomi phones in the USA, users have reported successfully getting Xiaomi smartphones to work on US Mobile network, which is a US based telecom carrier. Since Xiaomi doesn't optimise its phones to work on US networks, internet connectivity with LTE speeds and VoLTE support, however, are reported to be not available. So while Xiaomi phones can be used on some US networks, don't expect full functionality from the devices. Xiaomi has launched a new bluetooth speaker called XiaoAi Speaker, which gets 360 degrees surround sound support, for the China market. The brand has also unveiled a new Mi AirDots Pro pair that look a lot like Apple's own AirPods, and even get a similar case for their upkeep. The new wireless headsets from Xiaomi work with iOS and Android devices, including mobile phones and tablets. They weigh just 5.8 grams, and come with IPX4 water resistance.